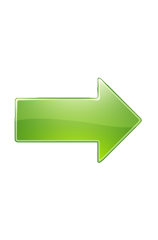 It guides you to free download Chris Brown best songs/albums, latest new album (X) songs and music videos. "I wonder where and how to free download Chris Brown new songs. I am falling in love with his voice." Despite of many bad things and gossips around Chris Brown, this Grammy-winner singer contributes numerous great songs/albums to fans. Have big interest in Chris Brown? Willing to enjoy Chris Brown songs with no distractions? This article briefly introduces Chris Brown and guide you to free download Chris Brown songs/albums/music videos (not only his hottest songs ever but new songs from latest album X) from YouTube, Vevo, SoundCloud etc, with an easy-to-use music downloader. Chris Brown (birth on 5 May 1989) is a hot American singer, dancer and actor. He released his self-titled debut album when he was only 15 years old collecting his hit single Run It which reached No.1 on Billboard Hot 100 chart. Chris Brown became more and more popular for his second album Exclusive (2007) making 3 hit singles Kiss Kiss, With You, Forever and being certified double platinum by RIAA as his debut album. In 2009, Chris Brown caught much attention for domestic violence to his then-girlfriend Rihanna result in 5 years of probation and 6 months of community service. Perhaps for that, his third album Graffiti released in this year achieved much less then than the former two. In 2011, Chris Brown released his fourth album F.A.M.E in 2011 peaking No.1 on Billboard 200 and winning his first Grammy Award for Best R&B Album, and fifth album Fortune in the following year. 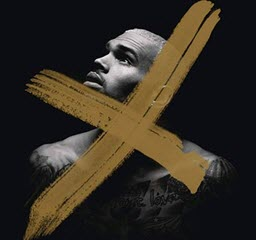 On 16 September 2014, the highly-praised new album X was shown to the public and nominated for winning Best Urban Contemporary Album of Grammy Awards 2015. Indeed, a helpful online music download program can make Chris Brown songs/albums free download be much easier. WinX YouTube Downloader, which is specially designed for free downloading songs from SoundCloud, Audiomack etc, as well as music videos, movies, sports/gaming videos etc, in resolutions SD/HD/4K/8K to MP4/FLV/WebM/3GP etc, from 300+ online video-sharing sites, including YouTube, Vevo, MTV, Vimeo, Dailymotion and more in a flash. It will never mess up your computer for bundled no adware, spyware or virus. Free Download Chris Brown Songs/Albums? WinX YouTube Downloader - Download Chris Brown album/songs/music videos at a sharp speed. WinX HD Video Converter Deluxe - Download/convert Chris Brown album/songs/music videos to MP3, FLAC, M4A at will. Let's follow this example to free download Chris Brown best song Loyal (ft. Lil Wayne, Tyga) of latest new album X. Step 1. Open WinX YouTube Downloader and click +link-shaped button on navigation bar. Step 2. Search Loyal on YouTube or any other your favorite sites. Copy and paste its URL to address bar. Click Analyze button. Step 3. The music video title, duration and version varying from resolution, format, size and codec will be demonstrated. Check one version and click OK. Step 4. Click Browse to set target folder for storing downloaded music video if necessary and hit Download button to start Chris Brown songs/albums free download. Tip: You can also free download songs from SoundCloud and similar site following this tutorial. For getting other audio formats of Chris Brown songs/albums, WinX HD Video Converter Deluxe can help you download/convert music videos to WAV, FLAC (lossless audio), AAC, AC3, M4A for iPhone etc, without quality loss. Here's a list of best 10 Chris Brown songs in terms of biggest hits on Billboard. * Free download Chris Brown songs/albums and any other hot music videos/movies in SD, 720p/1080p HD, 4K UHD, from YouTube, Vevo, Vimeo, Yahoo! Music, Dailymotion etc. * Convert any online music videos to MP3, iPhone Ringtone, AAC, AC3, FLFC (lossless audio) etc for playback on music players anywhere anytime. 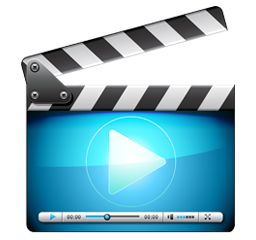 * Convert any HD movies/music videos to MP4, AVI, MOV, WMV iPhone, iPad, Android, Windows Phone (10/8), PS3/4, Xbox One/360 etc, with possible highest audio/video quality at a high speed.